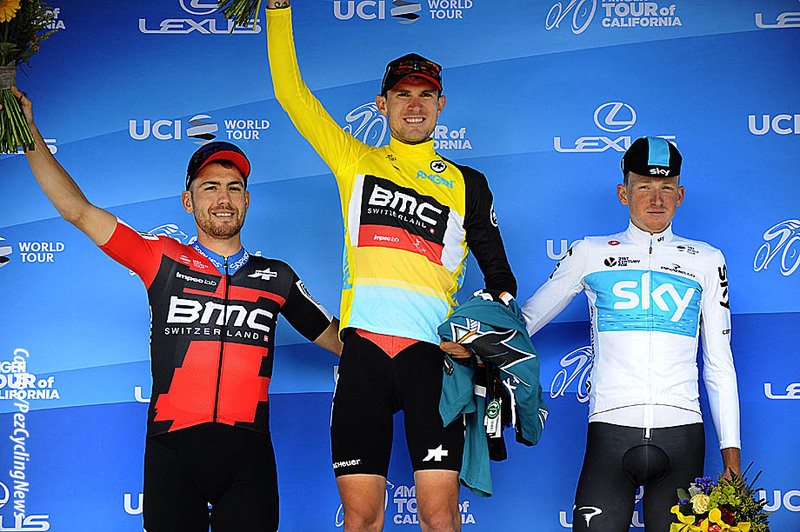 Rider Interview: New Zealand time trial champion, 8th in the Worlds TT, top performer in Tirreno-Adriatico, Tour de Yorkshire, Critérium du Dauphiné, Tour of Britain, Tour of California and the Basque Country; Patrick Bevin performed beyond and above the call of duty in 2018. 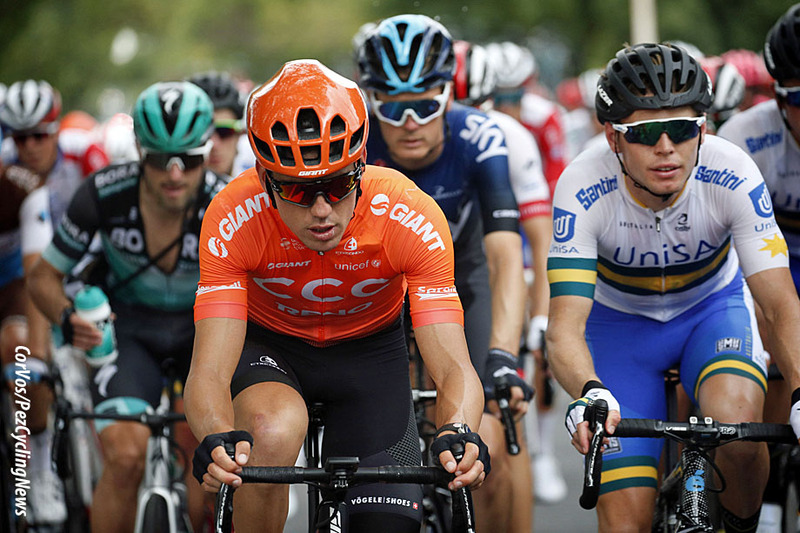 Now he leads the 2019 Tour Down Under. Alastair Hamilton had a word with Patrick at the CCC team presentation at the end of last year. 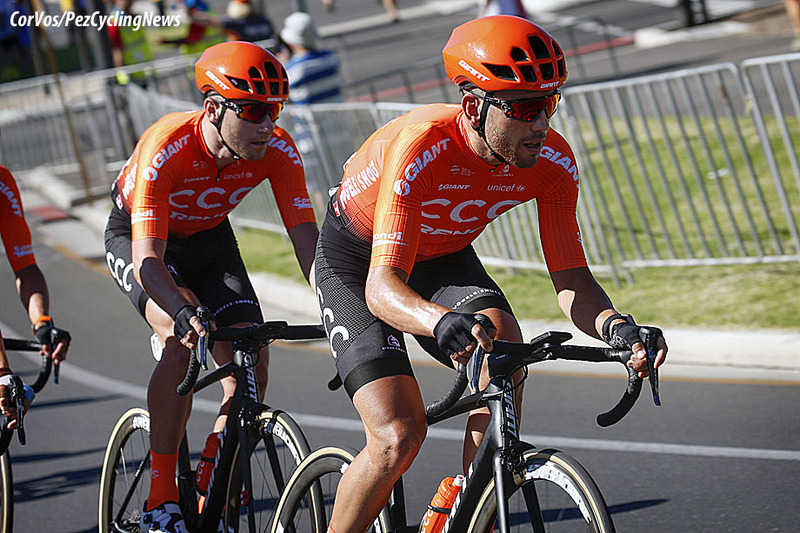 I had just finished typing out my interview with Patrick Bevin, CCC's rider from New Zealand, when the results of stage 1 of the Tour Down Under came through and there was Patrick in the break and finishing the day in second place overall. Then on Wednesday he trumps all that with the stage 2 win and taking the overall lead. I interviewed Patrick just before Christmas, but you'll get the feeling of a premonition of victory from the man from Taupo. 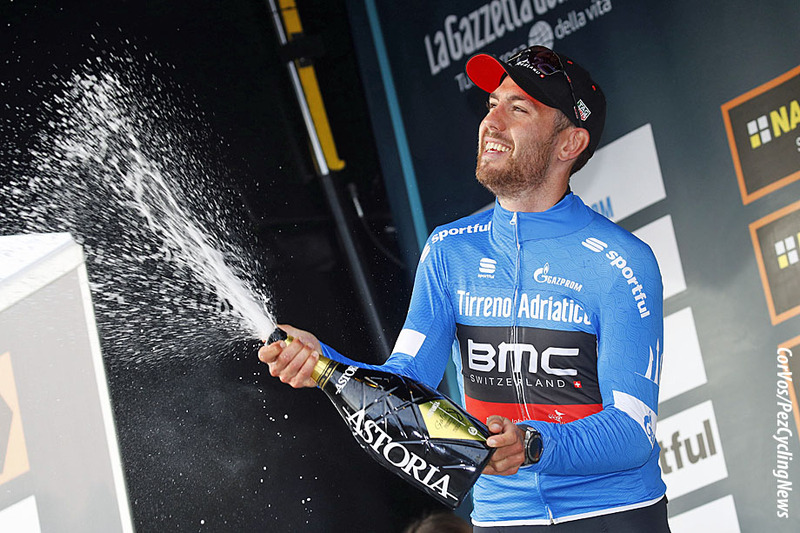 We spoke to Patrick this time last year at the start of his first season with BMC. PEZ: You had a pretty solid 2018 season, how did you feel about it? Patrick Bevin: It was good. I think we sat here a year ago, with the focus being a transition into time trialing more, which was a tough sell at the time. I didn't have great time trial results, but the team believed in me and I felt like I stepped up and took my chance to post some results when the opportunity was there - finished with a top ten in Innsbruck at the Worlds, which was a nice way to finish the year and a really good way to show that I am becoming a realistic contender in the big time trials. PEZ: Did you feel things had changed over previous years? It was the first time I had the ability to focus any resources and time on the time trial. 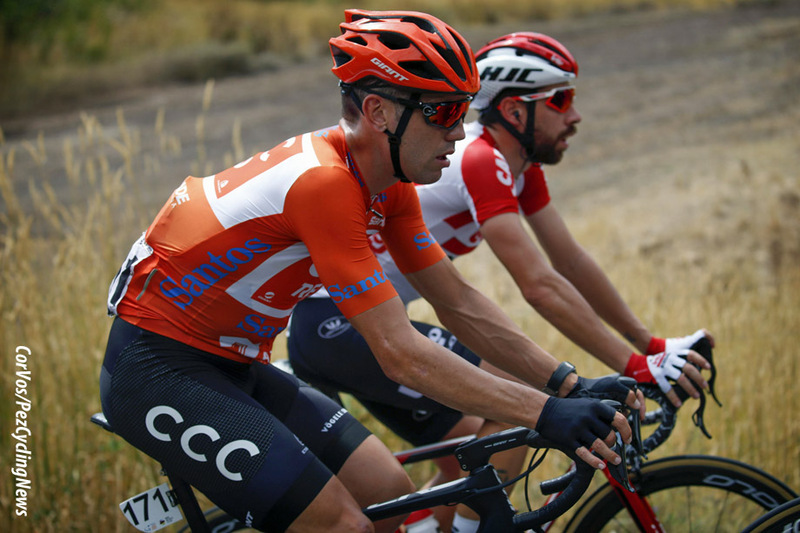 It hadn't happened with Cannondale or as I came through cycling, it wasn't really an option, but I knew physiologically that the attributes where there so it was about turning that into speed and into results, and I feel I succeeded in doing that. PEZ: There has been a lot of changes, does CCC feel like a new team? Yeah, it feels like a new team. Obviously they have kept a lot of BMC, but also brought in a lot of CCC and then there is a third aspect of new riders. It is a very, very new set up. For me I'm lucky there is a lot of continuity with the performance staff, so as an individual time trialist that is probably the most important thing. PEZ: TT specialist, Marco Pinotti is still with the team. Yeah, so you keep that continuity through the years which means I get to take what I built last year, because it didn't happen straight away. I was solid early, but the results got better as the year went on, with each time trial, so I get to take that into the next season, and for me personally that was the most important aspect. For everything else there is a new vibe, for sure. PEZ: Are you now going to be 'the' time trial guy on the team for 2019? I'm one of them, yeah. We have a few solid time trialists, obviously that's the great thing about the time trial is that you turn up and there is a race with a time trial in it, you get the opportunity to post a result, so that's obviously a nice thing to have up your sleeve in this game, coz the opportunity to put results on the board for most of the guys is not that plentiful. It's hard to get the cards to fall your way, it doesn't happen that often. So it's nice to have that up my sleeve. PEZ: What is your calendar for 2019? I'll start in Australia with Down Under, Cadel and Abu Dhabi - they will be my first block and then I'll come to Europe. The goal will be the Nationals in January [Patrick won the New Zealand time trial championships], which is always a bit stressful coming from Europe and having a new team and getting everything organised for the Nationals ten days before Down Under. It's a fairly similar start to the last three years. 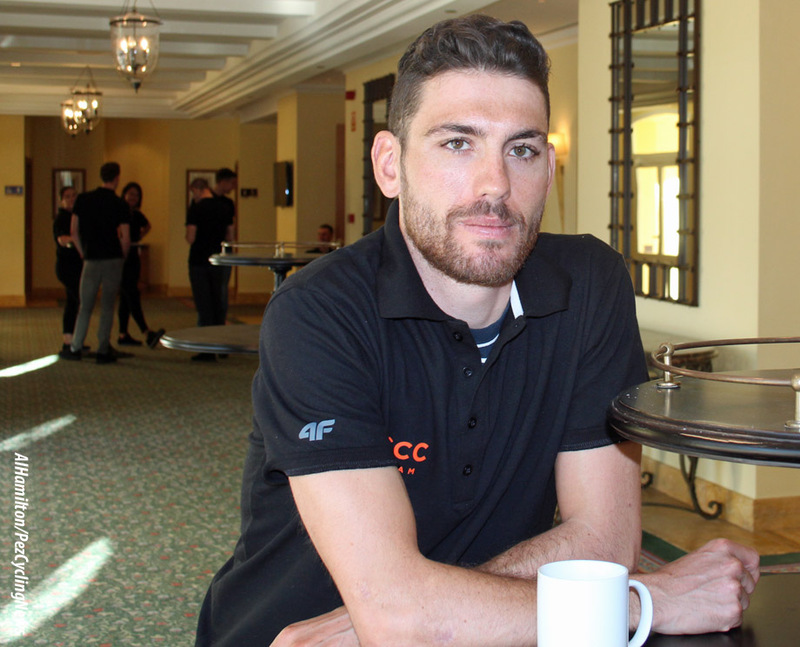 PEZ: Was it a bit strange to tun up here (Spanish training camp) and not see Richie Porte, Rohan Dennis and Tejay and all those guys? Yeah, it's very different coming into a fully established team, like I did last year as one of the few riders signed to a very established roster, than coming into a team, depending on how you look at it, that is two-thirds new. It creates a different vibe, for sure, but the flip side it there is more opportunity for riders to grow. 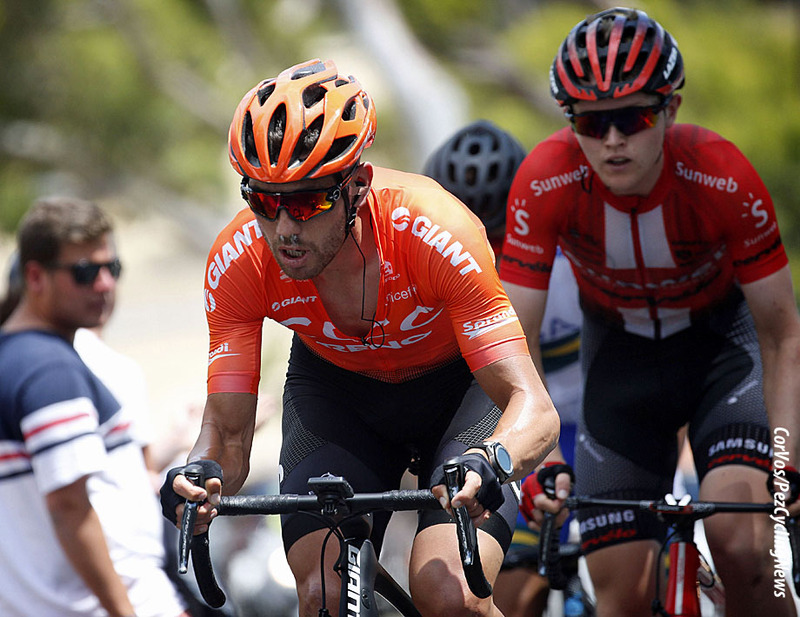 I feel like in a team with a Richie, a Rohan you are going to struggle to find your niche, so for me it's exciting to be at a point where you are finding your groove in cycling at a time where there is going to be an opportunity to step up if you are good enough. The aim for the first part of the season is to really step up and try to fill some of the voids that have been left by some very good riders. PEZ: The aim of the team is quite different, especially for the Grand Tours, that is quite a big change. Especially for a rider like me who spent a lot of the season riding up front with Richie. 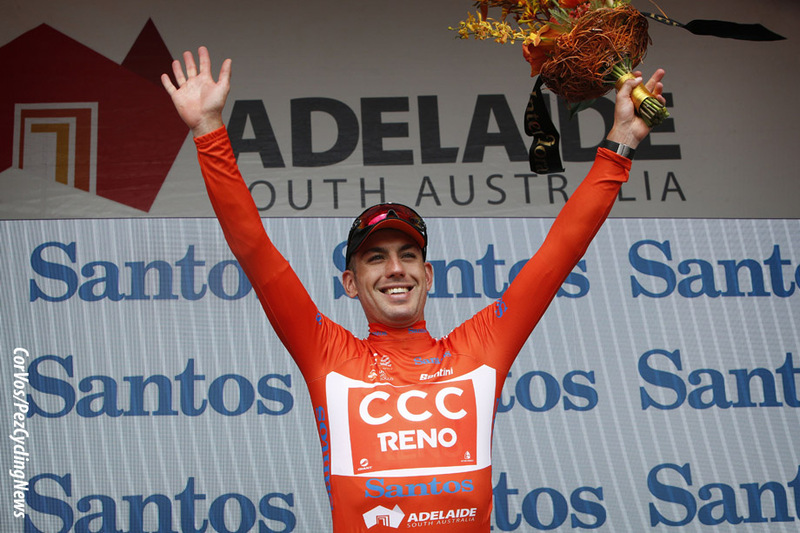 A lot of Down Under, a lot of Tirreno, a lot of races you do big shifts on the front, that's changing. That's exciting and I think it's an opportunity for this team to come out really swinging and going for results. The magnifying glass isn't on just one rider, it's time for other guys to step up and prove that they can produce results and I think there are riders here that can and there are riders here that can surprise, purely because they are in a place where the opportunity to do so presents its self, which can't be said for every team. It's a tough game and a really tough sport in that regard, so there are definitely some blank pages going into this year. PEZ: Last year you probably wouldn't have gone with a break because you would be protection.... Whoever. PEZ: Next year will be different, if the chance is there you would go. For sure. Tirreno was a perfect example of that, I was in the leaders jersey starting stage 3 and I was riding on the front for 180 kilometres - In the leaders jersey, which, to be fair, was a cool experience because it showed how serous this team is about these goals and nothing was going to change that, which shows you the strength of the resolve of setting out for a goal. That won't change, just the goals. It's an exciting time. PEZ: What about the change of equipment? That has all been brilliant. The new equipment is really nice. 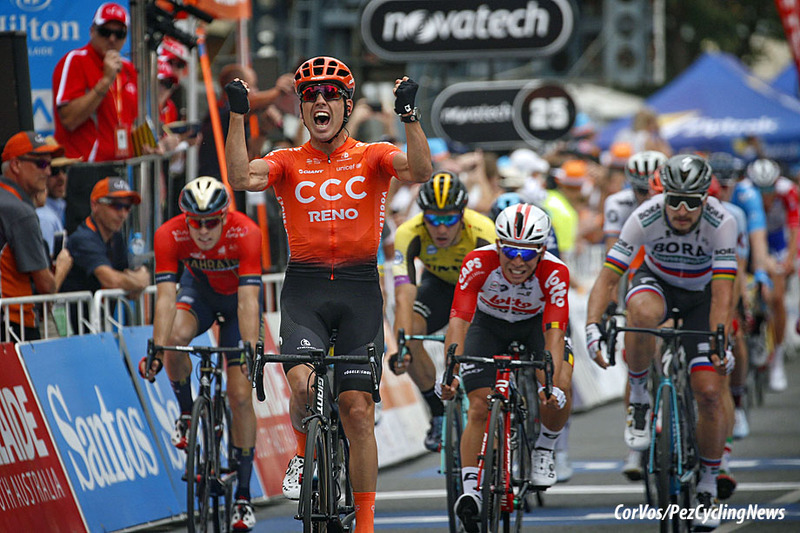 You are always nervous leaving BMC because you knew how good the bikes were, but the Giants are up to the task as we knew from Sunweb's results. For me personally with the time trial it has been easy, straight on the bikes and it's been easy. PEZ: Will you stick with the same training? For sure, try to keep as much of it the same as I can. 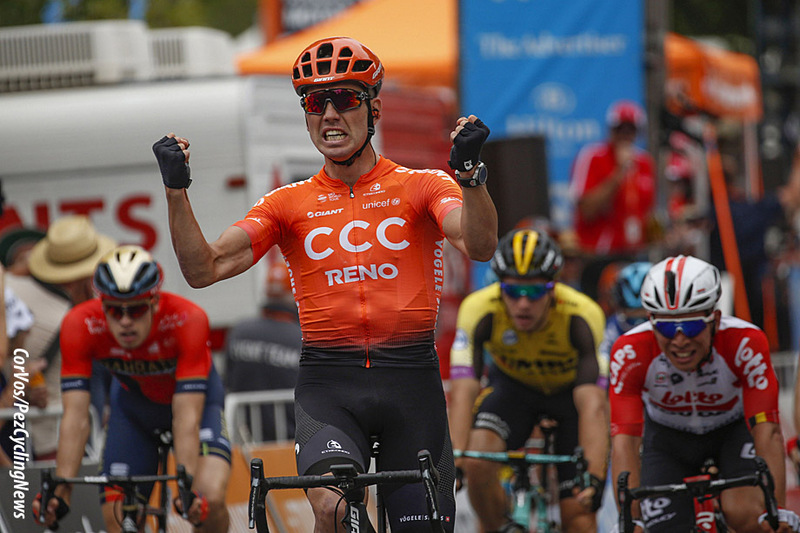 It's about capitalising on those results through Pais Basque, California and Dauphiné, where I was getting towards the top of the result sheets using what I had done previously in those races as a team player and not trying to change too much. Obviously we were sat here a year ago and it was a tough thing to talk about aiming for something that I had no idea and no real results in, but I was fairly sure I could do it. So it's very different to come in now and that is reflected with the team in the way that I train, I get a little more lee way to train ahead of my race program. It's more based around time trials, whereas last year it was not. A lot of those results came off five days notice, a couple of times, and that was just the way the team was, just trying to fit into a very good team. So, for me a big aspect of that is the continuity, and keeping as much of it the same and to keep building on those results I took going through to Innsbruck and build towards more goals this year. PEZ: Do you feel that you have changed from this time last year, physically or mentally? Yeah, I feel that I'm more confident and more comfortable where I am. Not the sort of comfort that makes you take your foot off the gas, but I'm happy in a situation and can actually start to look and say 'hey, this time trial here is what I want to do' and this is my strength that's going to get results for both me and the team. I've gone from come in where that probably didn't line up, it was like I was the last guy off the rank and just happened to fit and sign, whereas now it's like I have found my place, which I didn't have. Coming out of my first off-season has been great, I could sit down in the off-season and think 'what am I going to do?' 'What am I training for?' 'How am I going to get better?' It crates a comfort and knowing your place in things and there is a lot to be said about that. What we are training for is not just a roll of the dice, as the season goes on I think as an athlete that creates a huge amount... The confidence doesn't create that, I think having that niche creates the confidence in what you do. PEZ: Last year was a sort of 'let's see' and this year is 'lets do'. Yeah, for sure and that makes the motivation that is there so much higher and it makes your energy focus more narrow because in this sport at this level you can't really be like just throw everything at the board, instead of thinking I can do a bunch of things pretty good, it's time to be like 'how am I going to push through to the next level?' It's going to take some single minded focus and leaving some thing on the back seat and for me that's been focusing on the time trial and doing what I can there to be as good at that as I can. PEZ: Has your body changed physically? I think this season is going tell a lot. It's my first opportunity to really focus on one area and I don't think physically you'll see how good you are unless you have that focus. I think the power numbers really... last year physiology actually wasn't a huge step up. I was more consistent throughout the year, but the peak numbers over the time trials weren't streaks ahead and sometimes those results were behind what I wanted to be. Purely in cycling you can't be top every day. I think from that aspect I think you are not going to know that until you have to have the opportunity, like I've got, to really focus to find out how far you can push the physical numbers and the physiology of your body as an athlete. 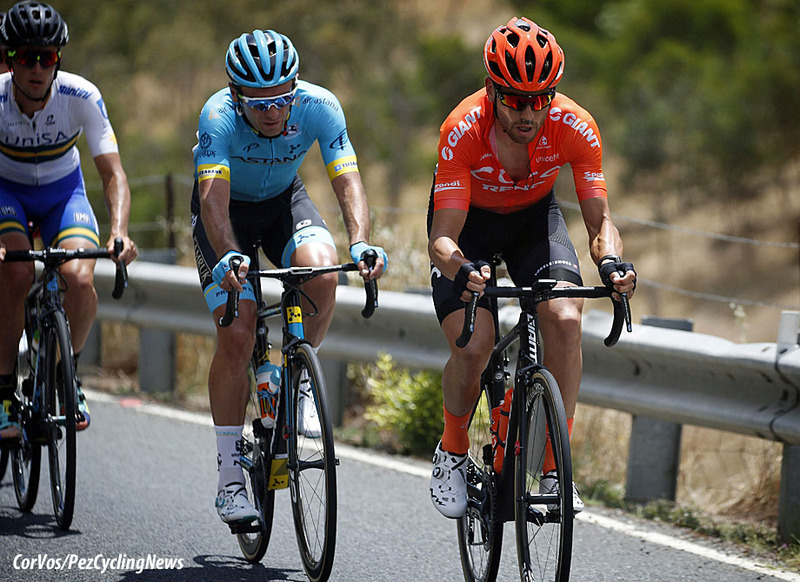 PEZ: A Grand Tour in 2019? Hopefully the Tour, I'd love to go back. Last year I was sick half way through, it was a real low point. I've crashed and bounced around and pulled out of races before and had lows and highs, but I've never felt as low as when I got off at the Tour. It's funny coz it's just another bike race, but it is the Tour and it is the biggest one. Obviously if you are sick, you are sick, but it was a real experience for me, a real reality check as to how tough it can be. The season had been so good and I hadn't put a foot wrong basically, until I got sick there. It's not really something that you can change. So I'd love to go back in top form and have a crack at the Tour, the biggest bike race we have. PEZ: The early stages should be quite good? Yeah and obviously the team looks a bit different at a Grand Tour than riding the first ten days for Richie, it's just the nature of the game, the goal posts shift and obviously guys will have the opportunity to stand up. PEZ: After Richie crashed out, what was the feeling in the team? The team rallied really well. We kept the yellow jersey for another five days. PEZ: But it was like the end product had disappeared. At the time I felt it kind of overshadowed the fact that we had won the team time trial and that we led the race for five days. Everyone was waiting for the end event and I felt like that was a bit unfair. If any other team had won the stage and lead the Tour it would be a dam success. So I felt we were a little bit short changed there. The team rallied really well and that spirit will remain with this team, you are in a place were the guys want to win bike races. I think taking the focus pressure off GC can have a really good effect on the rest of the team. PEZ: What about the team time trial, there will be a bit less power there in 2019. The team time trial is a different one, no individual makes the team time trial. Obviously you look at the Tour squad; Rohan (Dennis) wasn't there and he was the World champion, and you had the World champs where Quick-Step won, they never got in the top five at the Worlds individually, with no disrespect to them, they absolutely deserved the win, but it shows you that no individual makes the team time trial. I think this team still had the DNA to really put together a really good team time trial, the HP is here and I think Quick-Step showed everyone last year that it is not about individuals, it's about delivering a team time trial on the day. 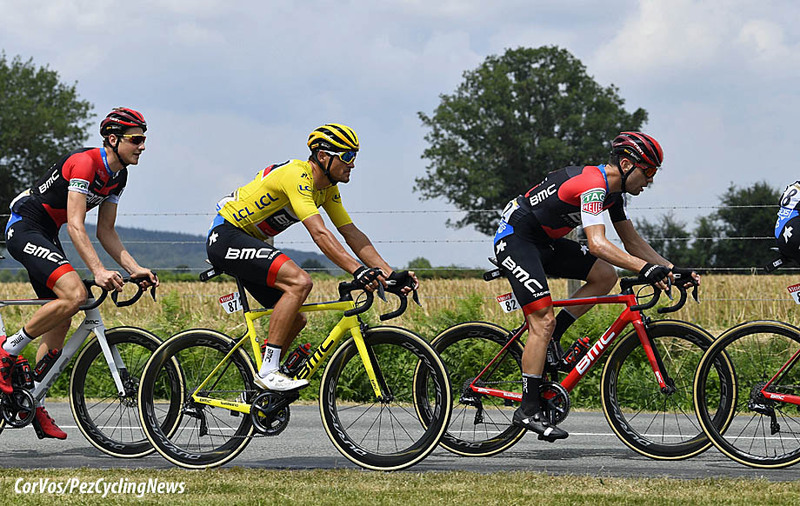 Obviously that's going to still be a goal for this team because we've still got the BMC structure there and a lot of us have done a lot of team time trials now with this squad. Yes, it's a big change, but I think the big lesson from last year; if you take the Quick-Step, look at the team time trial when they won the Worlds, it's not the sum of your individual time trialists, it's a totally different event. We'll certainly look at putting those on the board as they are still important, they are still a big part of the races. Abu Dhabi straight up, Tirreno still a team time trial, the Tour still a team time trial, so they are important and this team definitely still has the horse power to put it together. 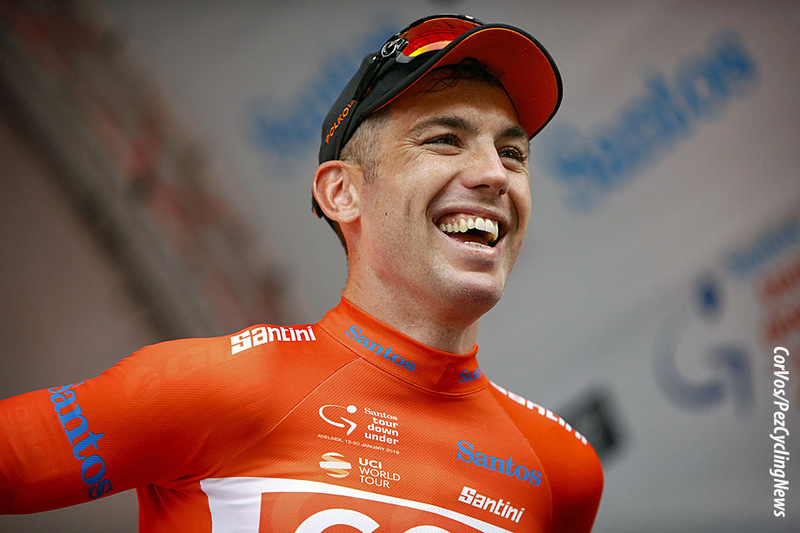 PEZ: Quick-Step lost Tony Martin, but it didn't do them any harm. No, so that was a bit of a lesson, we went into the Worlds and had guys all firing in the individual but we didn't do it in the team, for whatever reason. You can dissect it any thousand ways. We obviously have to change that a little bit. Therefore losing some of those guys doesn't mean the end of the BMC team time trial.